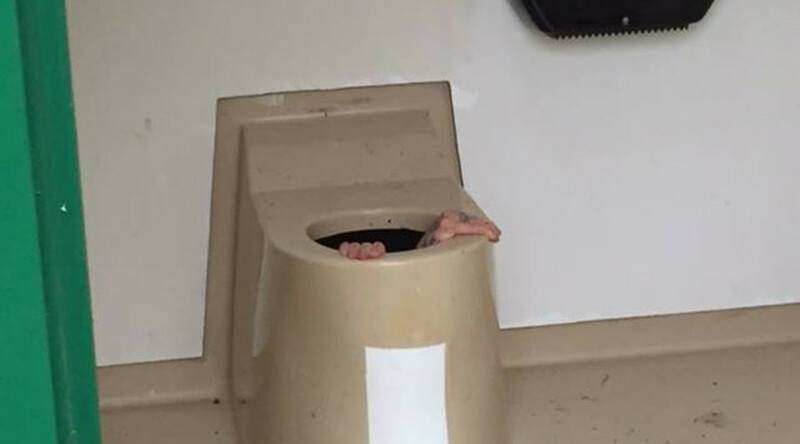 Dropping your phone down the toilet can be annoying enough, but finding yourself trapped inside the tank beneath, as happened to one Norwegian man, takes things to a whole new level. After a friend dropped a cell phone into a public toilet in the Norwegian city of Drammen, Cato Berntsen Larsen valiantly volunteered to retrieve it. A brave deed, indeed. The 20-year-old, who was slim enough to climb through the toilet seat and into the tank below, quickly found himself standing up to his thighs in feces. While slim enough to get in, Larsen soon realized that he wasn’t thin enough to climb back out – and he also learned that it wasn’t just human waste he was sharing the confined space with, according to VG. “It was disgusting as hell. The worst thing I have ever experienced. Animals were down there too. I will never enter a toilet again. Now my body hurts and I will go home and get some rest,” he told the Norwegian outlet. After spending an hour in the tank without being able to get out, his friends called the fire brigade, who told AFP that the rescue had been a “first” for them. 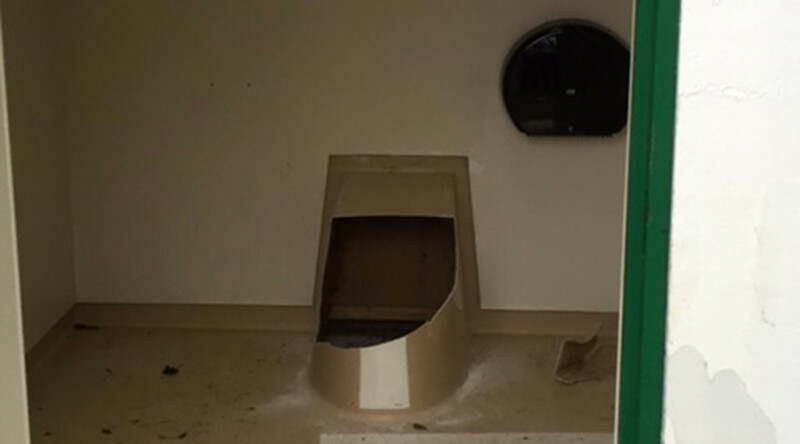 Soon, a team of four men armed with a chainsaw managed to smash open the plastic toilet and pull Larsen out into the fresh and poop free air. Larsen was taken to a hospital where he was treated for minor injuries and also received antibiotic treatment. He also presumably took a shower. The phone did not share the same happy fate as Larsen, however. It didn’t make it out of the tank.